“I want to inspire you to travel,” almost every blogger over the last ten years has probably written some form of that sentence. However, these days it seems the whole world is traveling so maybe this inspiration is not as relevant as it used to be. Almost every popular destination is dealing with too many tourists in some form or another. Maybe we’ve all done too good of a job of promoting travel. 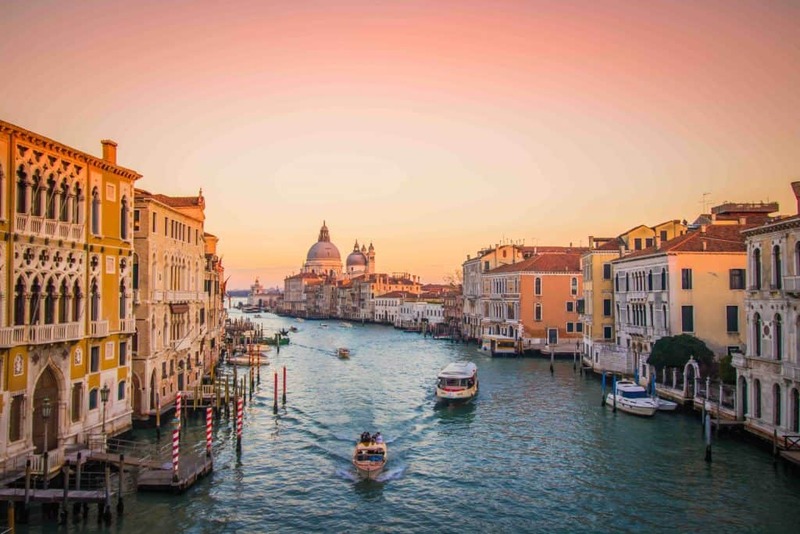 Many places like small Italian towns, ancient Incan cities, treasured national parks to world-renowned museums, idealistic beaches, to our favorite European cities are dealing with signs of overtourism. Are too many tourists a problem? Who is to blame for this? There are a lot of questions that stem from the idea of “overtourism” with the first being is this really a problem? At its core, any place or destination that has to deal with too many tourists is a victim of its own success. Should tourists be to blame when a destination continues to market itself and accept tourism dollars? Yet, look at a photo of a beach in Barcelona and its hard to find a single piece of free space, or the streets of Venice where locals have been forced out of a city with streets filled shoulder to shoulder with visitors. It’s all a slippery slope – so when does it seem like the classic trope of the “local’s only” mentality. Should anyone truly lay claim on a beach over another? There is no denying that travel has become increasingly affordable and accessible to the masses. Low-cost airlines like WOW Air, Ryan Air, or Norwegian, and mobile banking like Ally, plus sharing economy apps like Airbnb have made travel cheap and easy. All you need now to plan an international trip is decent WiFi, 30 minutes on a smartphone, and a credit card. There are over a billion international travelers in the world and that number is growing steadily. Compare that to just twenty years ago when the number was just around 500 million. Overtourism can also play out in a vast number of ways across the globe, in Rome, it may be thousands of tourists jostling to get a photo in front of the Trevi Fountain, while at Machu Picchu it can be the struggle to get everyone up to the remote location of UNESCO site. Then there is the question of unsustainable growth, take a flight over the Maldives and you’ll quickly realize that the whole country is turning into a series of floating resorts, they’re even building the islands for incoming resorts now. Our real fear in all of this is a tainted experience in travel. A real concern I think the industry needs to consider is what effect all this travel will leave on visitors. If your trip to Paris is ruined by a horde of tourists maybe you’ll reconsider booking your international trip the next year. Will the explosive trend in travel turn into a bubble and discourage everyone from traveling? We certainly don’t feel that travel is anything like what it was only a decade ago. Despite all of this global uncertainty about overtourism, the world is vast and there is still much to be seen and experienced. Here’s how to beat the overtourism, enjoy traveling more, and avoid contributing to the problem that is plaguing popular destinations in the world. After living on the road there is one time of year that drives us nuts, high season. To seasoned travelers, it’s the worst time to travel yet everyone else seems to stick to the status quo. In most places, high season generally occurs around from July-August and the around the holidays. During this time hotel rates shoot through the roof, attractions have long lines, restaurants are slammed packed, and any searches for airfare will go up. Many of Europe’s most popular cities become a total mess. Barcelona, Rome, Santorini, and Venice strain over the influx of visitors who clog streets, parks, and public transportation. It’s not just Europe though – US National Parks become overrun, as well as places like Lake Louise in Alberta and the Gion District in Kyoto. Throw out the advice of traveling during the best weather and stick to shoulder seasons. Spring or Fall are great times to travel and generally see good weather and lower tourism numbers. We personally travel a lot during winter as we like winter activities, and this can be the ticket to an enjoyably cold but quiet time. It’s also popular to travel to a different hemisphere. If you must travel during your summer holidays consider getting to a different hemisphere. Our summertime in North America is winter in Australia or South Africa and may be a cheaper and easier time to travel. 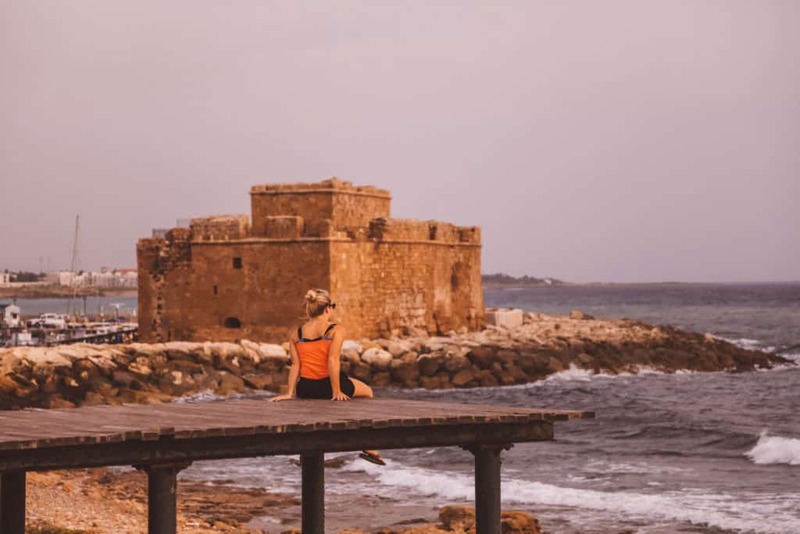 Our favorite month to travel is September because it’s good weather just about anywhere in the world and falls just outside of peak season with all the attractions BUT the activities remain open. We know that if we arrive popular between 10am-4pm, it’s likely to be crowded and terrible for photos. Waking up before sunrise before everyone else usually does the trick. If not, stick around till sunset and wait for any big buses or groups to get on their way. 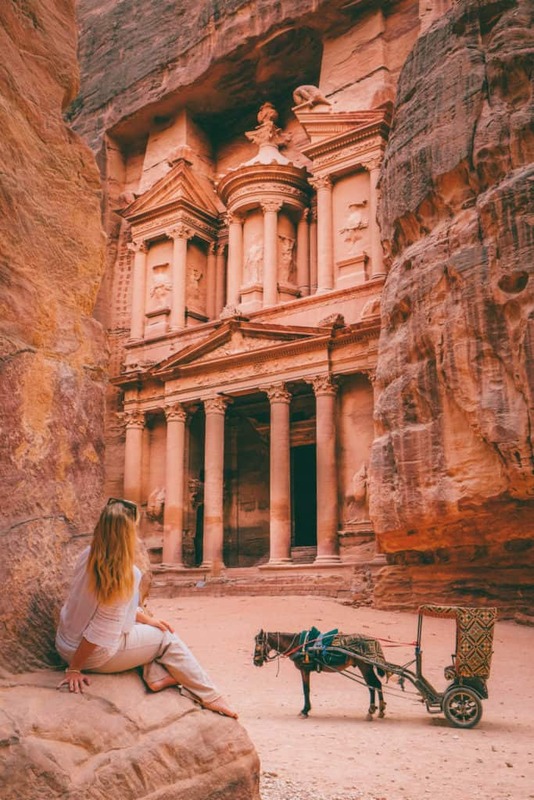 Waited for everyone to leave at 6pm and got Petra to ourselves! 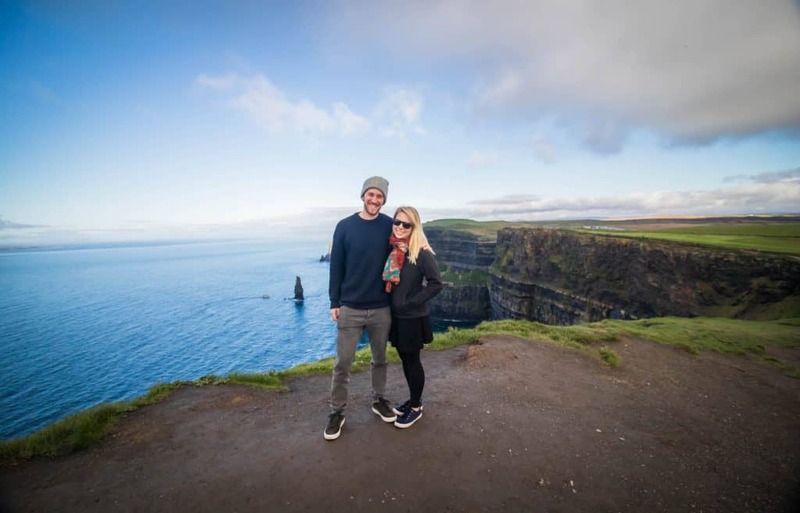 When we first started this travel blog we declared we’d visit 100 countries before we’re 30. While we’re close to that number we’ve given up the idea of actively pursuing it because we realized it’s not what travel is about. If we started to treat the world like one big checklist we’d stop enjoying the little things and treasuring each destination. Spend your time where you’d like doing the things you’d like. Revisit places you love instead of just traveling to get somewhere new for your Instagram. Find what you enjoy and go do that, don’t worry about a list made by someone other than yourself. Some of the world’s most famous cities, towns, and landmarks have equally good neighbors or destinations that offer a similar experience. Think of it as the “Go Here, Not There,” list of destinations. My god, we hate selfie sticks! Whatever happened to the old days when we snapped a photo or two of us standing in front of the iconic landmark then went about our day. Standing in a crowd with a pole that you then wave around is bound to hit someone, and I find it a bit obnoxious. We’ve actually had people walk up in front of us stick the camera in our face and snap a photo of themselves – like we weren’t even just sitting there enjoying our overpriced coffee at all! The vanity of it all is just gross and I hate to think what my grandparents would think of all of this. We travel with a tripod, but in busy environments, we’ll ask a passerby to snap our photo if we’d like a photo. When we see a million selfie sticks in a location, we know it’s a bad sign of a place that has been hit with waves of tourists. Cliffs of Moher Ireland – yes it can get packed with people. We have a love and hate relationship with Instagram. It’s tough to think that a social media application could have such a massive real-world impact on overtourism. However, a couple of good photos on Instagram can drive hundreds if not thousands of people to some really obscure locations. For example the entrance to a country club in Bali (seen below). The arches below were at one point just another temple along the road until one famous Instagram star posted a photo of the “exotic” location here. Now many tour providers make a specific stop here and the country club has started selling tickets just to grab a photo. To be clear the Handara gate is the entrance to a golf club right off the road – there is nothing exotic about it. However, with the right photo and story it’s easy to imagine yourself in far off Asia in 1825. 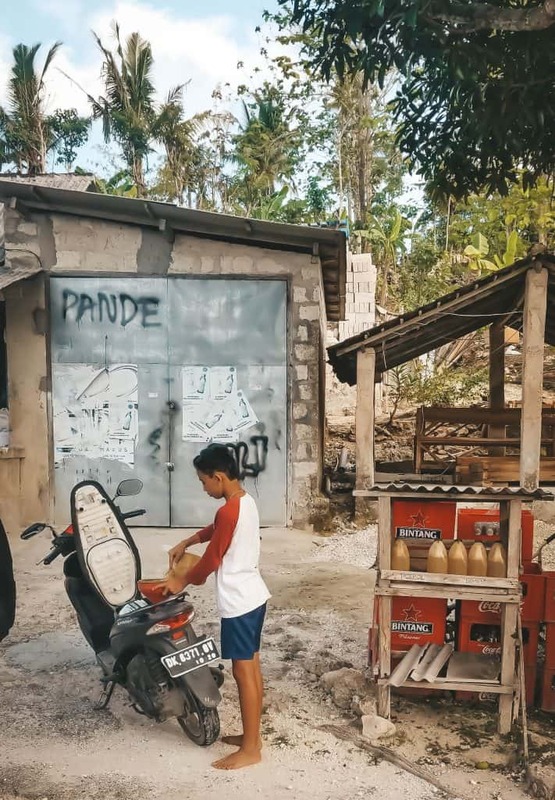 It’s not just Bali and these gates though – this happens everywhere and this is just one example of many on Instagram, that is nothing more than a photo stop that offers little in the form of substance to travelers. Over the years I’ve noticed more and more millennials are focusing more on the photo ops and less on the destinations themselves. Making time for places such as the Handara gates instead of immersing themselves in the culture. This is a big one that I could continue on and on about, but going off the above point please do not base your travel around Instagram. 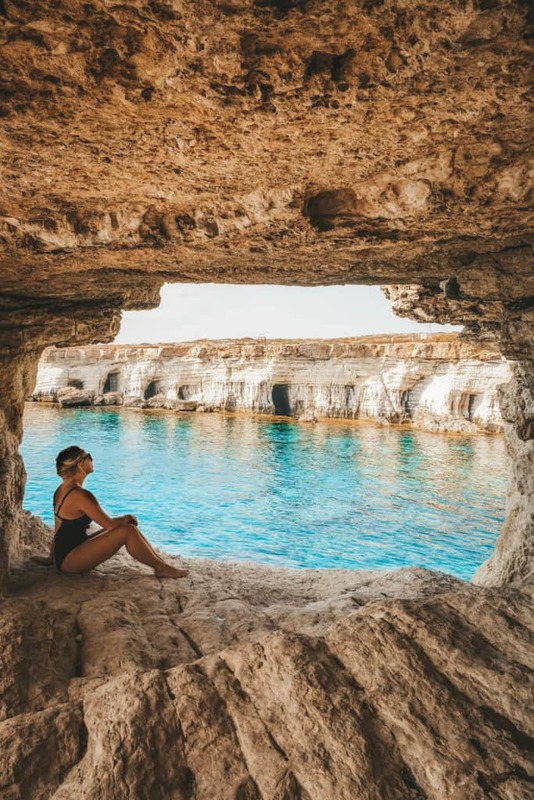 Obviously, a large number of amazing destinations are popular on Instagram because it’s a visual platform and one of the greatest reasons to travel is the beauty of the world. However, basing your travels around getting the perfect shots and photos will not make you happy in the end. Memories and experiencing new destinations, food, people, and culture will. What kind of traveler are you? Do you like historic sites, cultural immersion, natural landscapes, beaches, nightlife, or do you travel for food? •• •• For a relatively small nation Taiwan packs a punch. It had all of that and more! Between temple hopping, street food, and even a hike Taipei kept us busy. •• •• This is Longshan temple built by the Chinese in 1738. We felt like flies on the wall as we watched locals worship a mixture of Buddhism, Taoism, and various deities. It’s a wild mixture that’s super confusing for tourists. Residents carry on honoring ancestors, asking for blessings, and praying for protections. We had no idea what was going on inside! Don’t be afraid to explore a little bit! 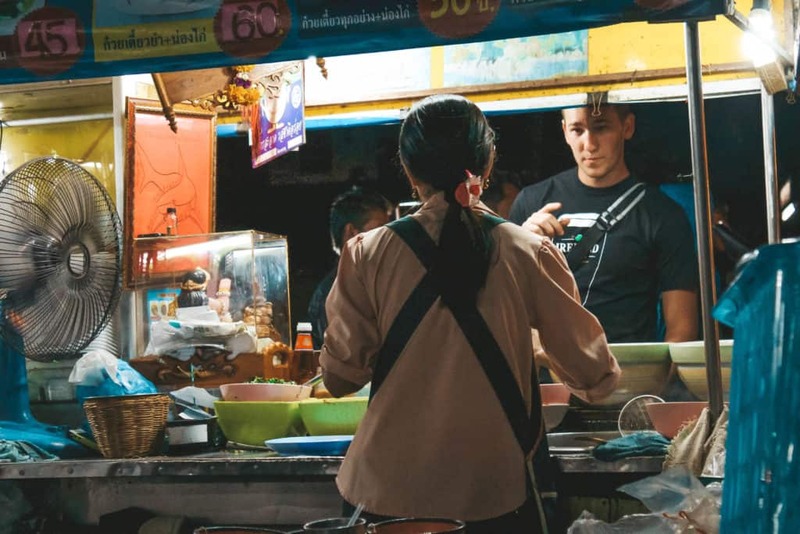 Sure the classics like Thailand, France, and Spain sound great and are popular, but why not try a few locations you haven’t heard much about. Many of them are even off the well-heeled tourist tracks. This means they have a well-developed infrastructure around tourism. Some places we visited this past year that do not experience mass tourism include Jordan, Taiwan, and Ecuador. All tremendous places to travel with amazing sights, culture, and delicious food. Packaged vacations can be very tempting with their ability to offer low-cost vacations with no planning on your part, but it’s best to consider what you’re purchasing. Many packaged tours are sold in bulk, with buses, hotels, and planned meals. This can mean mediocre buffet meals, budget rooms, and typical stops where vendors have a deal worked out with the said tour company knowing you will buy their products. This doesn’t create a unique or special experience, but rather one will you feel like a group of animals led around by a leader. 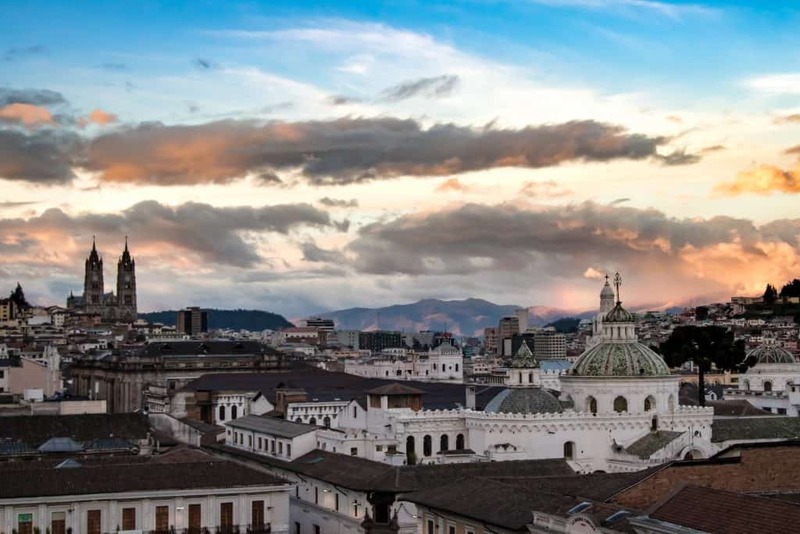 It also means the tour company is taking a large portion of the profits and unless they are a sustainable company only the bare minimum amount will go back into the local economy and back into the pockets of the locals. All this happens while the influx of visitors strains a destination’s public services and streets. We rarely go on a packaged tour unless it is a sustainable and reputable company that we have researched. We also avoid large scale cruises at all costs as they are not sustainable. Budget tours lump visitors together in buses placing them in large groups and arriving at the same time as other groups on the same itinerary. The effect is a wave of visitors at once who come through a museum, street, World Heritage Site all as one. This doesn’t mean you can’t book a tour if you would rather not traveling independently. It just means to use companies who pride themselves in small groups and spending money in local economies. Two major tour companies that do a great job of this are G Adventures and Intrepid Tours. We’ve also done very small group trips with Governors Camp in Kenya, Metropolitan Touring in the Galapagos, and The Gondwana Collection in Namibia. Or you can always book a small tour put on by us or some our fellow bloggers! There are some great tours out there heading to Peru, Pakistan, and Kyrgyzstan. And in the next month, we’ll be launching tour to Namibia, Uganda, and Zimbabwe. Stay tuned! 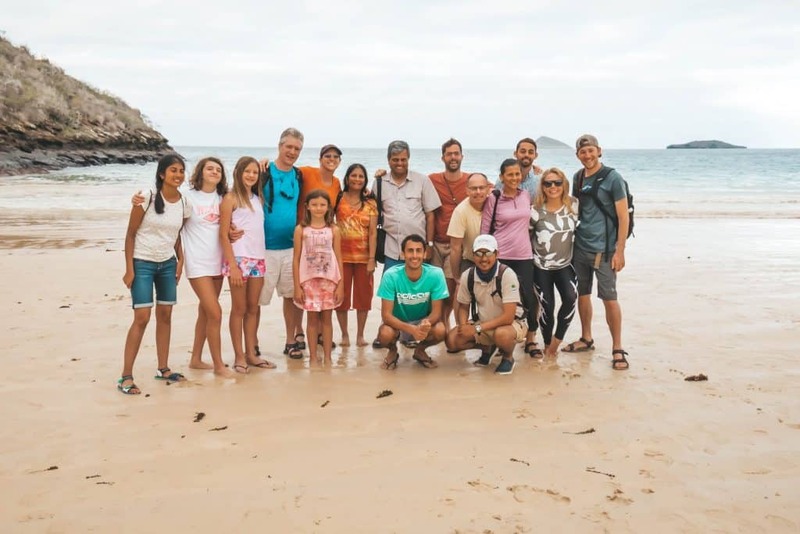 Our small group in the Galapagos! We encourage you to save your money and we’re against needless spending. However, if you’re visiting a destination it’s good form to spend money in the local economy. It’s as simple as shopping for local artisan souvenirs, buying food at markets, and eating at local restaurants. Avoid setting foot in a chain restaurant like Hard Rock, TJI Fridays, or KFC, seriously they’re all over the world! We love to seek out independent restaurants and cafes, after all, it’s a large part of why we all travel. I’m certain the best pizza in the world is not at Pizza Hut, but a cramped restaurant in Napoli. If you see something, say something! A lot of destinations need help from visitors to keep things in working order and rely on you for feedback, to not litter, and keep places clean and spread the word. It’s always best to keep in mind that you are a guest in a foreign country and should act as such. A lot of places also conduct polls and ask for visitors information on their experience. Leave reviews, fill out surveys, and provide your opinion as it’s super helpful to future travelers and destinations. Many destinations like Iceland are prime examples of places that are facing overtourism, but not too much tourism. 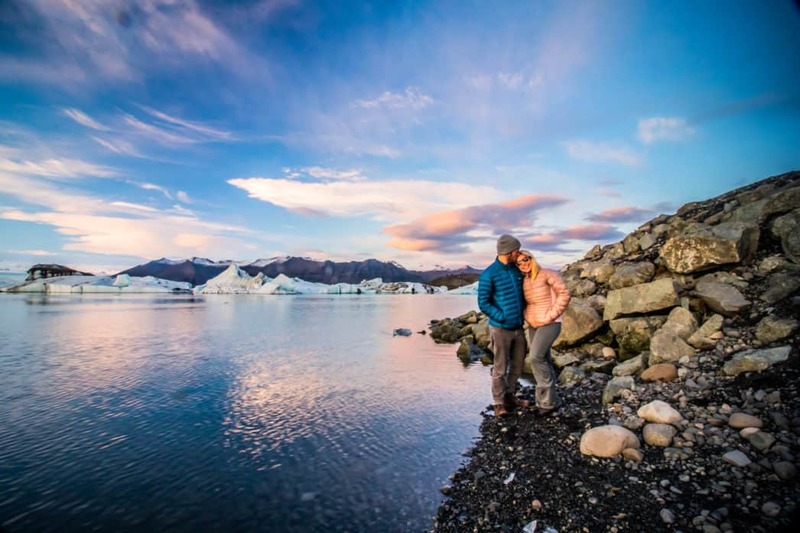 It’s easy to blame the visitors and say that too many people are heading to Iceland; however, that’s not necessarily the case. It’s a big island with plenty of space for the two million visitors that head there in a year, but the problem lies in popular choke points or bottlenecks where too many tourists try to cram into one location. With the rise of social media, it’s easy for a small roadside attraction to become internet famous overnight. 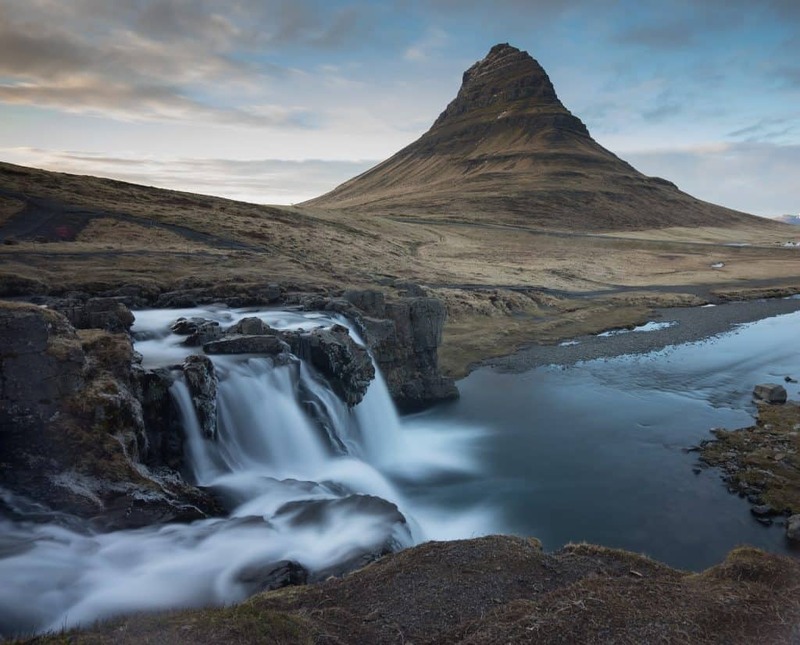 A perfect example would be Kirjufell in Iceland on the Snæfellsjökull Peninsula. 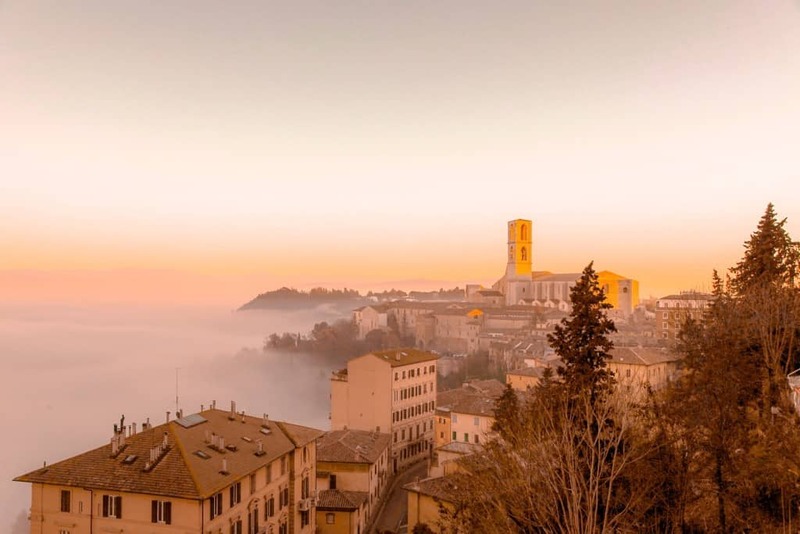 After being featured in Game Of Thrones it became popular on social media thanks to the photo spot below. And within a short period of time cars and tour buses, we’re parking up down a small single lane road blocking traffic and trampling over a natural area, thus destroying it. In this situation, it’s hard to fault anyone. Tourism boards and communities can attempt to work swiftly and address things like parking lots and trails, but it’s not easy for these things overnight. So, it’s not that Iceland has too many tourists, but too many in one location. Don’t let simple problems taint your opinion of a destination. We always try to look at things through multiple points of view when visiting a destination. I’m not even sure how to address this problem as I do not understand Chinese culture. However, speak with anyone who works in tourism and they’ll likely have a story or two from Chinese tourists. They’re the new “ugly American traveler” and taking over the world. However, their tourism boom is rapidly changing! About a decade ago when Chinese really started to venture out of the country it was in packaged tours in big groups, which is where most of the problem lies. Now you’re finding an increasing amount of independent Chinese travelers. Hopefully we can encourage this instead of group tours. It doesn’t matter if you hate the expansion of Chinese tourism, as it’s unstoppable and likely to keep growing. Tourism Boards are adapting to the Chinese market and catering to what they want when they travel around the world. We can all work to spread everyone out rather than frequenting The Colosseum, The Eiffel Tower, and Thailand’s Coast. Great i found this, over tourism is indeed something that poses several question. Many destinations have for decades been known as the best safari destinations and yes everyone wants to get there. In the long run however, the love to travel may lead to the lose of travel destinations for the next generations unless if all tourists become responsible about conservation.